Words and Music by Harry S. Miller. The sweetest of pets that e'er you met, with a naughty winking eye. 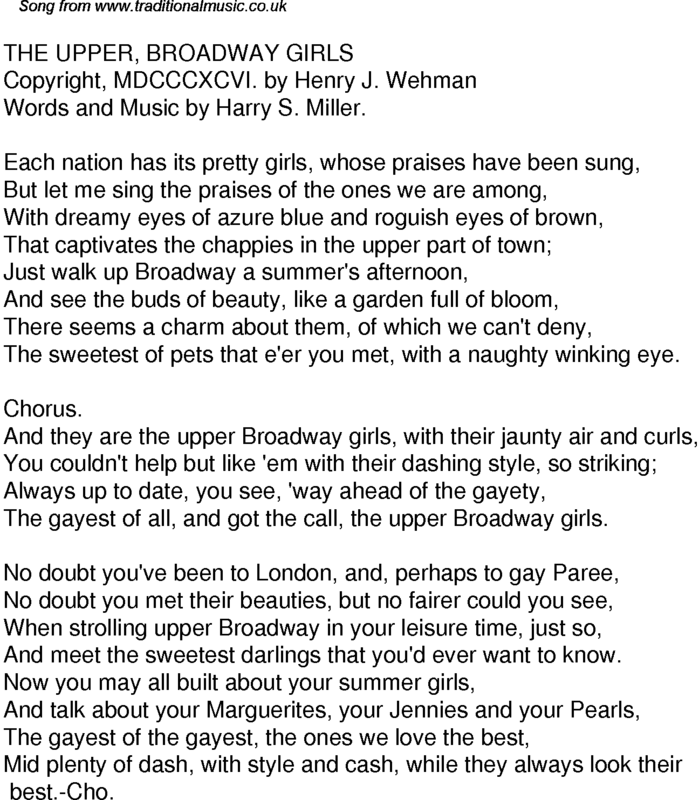 The gayest of all, and got the call, the upper Broadway girls. And meet the sweetest darlings that you'd ever want to know.